A while back, we’ve planned a party. We invited many friends to our place at around 3pm. In the morning, around 10am, we were hit by a power outage. We’ve waited aprox 2 hours and we were still without power. Therefore, it was the option to call off the party or come up with a different solution. 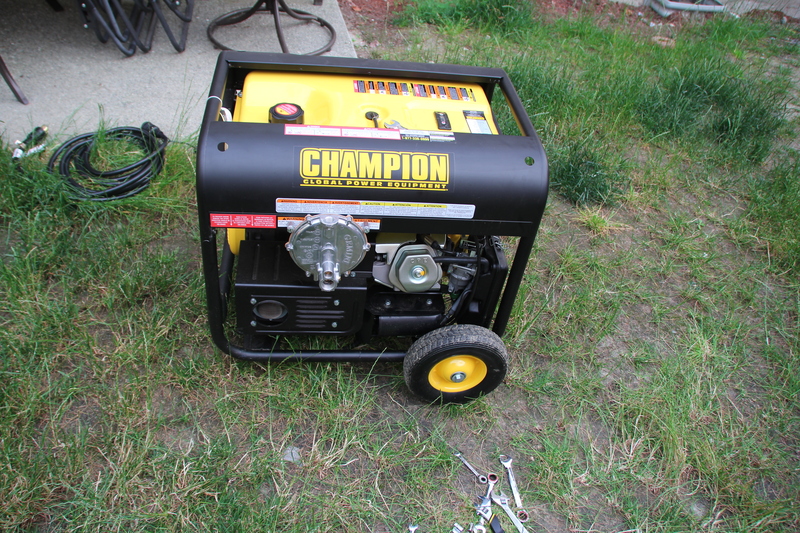 I didn’t want to call off that party so therefore, I went to Costco and bought a Champion 41532 generator. This generator turned out to be a good buy. Like any generator, it’s noisy, but I can run my whole house on it (it delivers 7000W with a peak of 9000W). As long as I’m not running my dryer, oven or some power hungry vacuum cleaner, everything works fine in my house (all lights – and I have at least 20 CFL lights here, TVs, computers, furnace, etc). One first problem was how to connect the generator to the house power system. There were multiple options there, but basically I had to decide between a power transfer switch system and a simpler and cheaper interlock kit. I’ve decided for the interlock kit because fewer limitations and price. A transfer switch allows the use of a limited number of circuits (6 or 10 usually), while the interlock kit doesn’t come up with the same limitation. It’s not very difficult to install a transfer switch but I’ve hired a professional to do the job. On top of that, they got the inspection taken care of. It costed a bit more, but I really didn’t want to mess with the electrical system of my house. 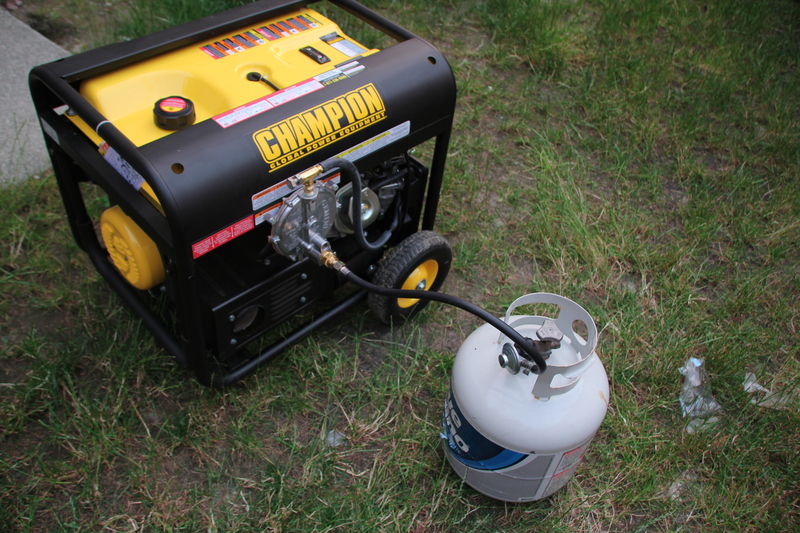 Recently I’ve decided to convert my generator from gasoline to propane or natural gas. As far as I understand, the price is comparable if you run the generator from a propane tank vs a similar amount of gasoline. I’ve read that a standard $20 propane tank holds aprox 4.2 gallons of propane and that delivers aprox the same amount of BTU (or HP) as 4-5 gallons of gasoline. While the price of gasoline is aprox 4$ / gallon, then 5 gallons are aprox $20, too. But then, if you run the generator on natural gas from a grill line, then the price is way cheaper (propably at least 4 times cheaper). But then there’s the problem of storing the fuel. I don’t see myself storing 10 gallons of gasoline. Gasoline has a limited shelf life and it’s more dangerous to store gasoline vs propane. I already have 2 standard propane tanks and those should give us aprox one day of uninterrupted electrical power to run our house. And if we end up with a long electrical power outage, there’s the option to hook up the generator to the natural gas grill line. I didn’t like storing gasoline for too long time. A generator is supposed to be use in a emergency and I didn’t want to bother to run it every 2 weeks (as indicated by the generator’s manufacturer), or even every month or so. That’s a waste of time and gas. 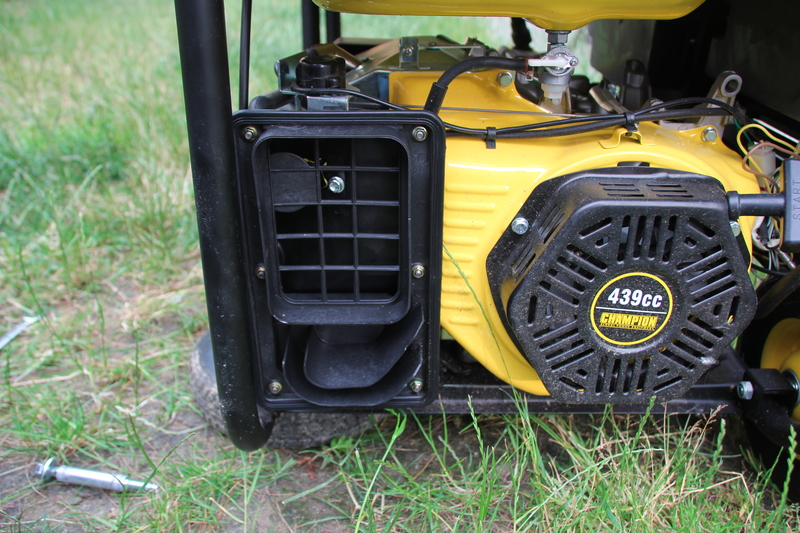 But if you don’t start the generator for a long time and then you have a emergency, you may have some troubles with the gasoline in generator’s carburetor, tank and fuel lines. Long introduction to my generator story… Now, fast forward to today and how I’ve converted my generator to gas. I’m not a mechanic and my experience with engines is limited. I’m actually a software engineer and converting the generator was a bit of challenge for me. But it turned up fine – it took me under 3 hours (and that included time spent on finding the proper screw drivers, drills, etc). I’ve ordered a tri fuel conversion kit from http://www.motorsnorkel.com/. Their web site asks you for what kind of generator you have and I assume they deliver the right kit based on your selection. I got my conversion kit in aprox 1 week and it costed a bit under $200. I’m probably going to create a youtube video with installation instructions, but for now I’m going to explain it using a few pictures. 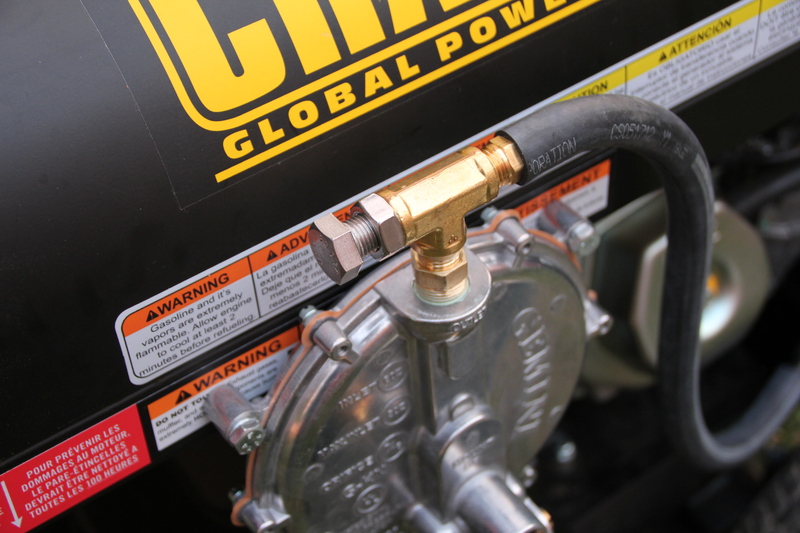 If you have a new generator, make sure you run it on gasoline for at least 2 hours before starting the conversion. If you’ve used it already for 2 hours, then you’re set and start converting it. I’ve decided to get rid of the gas from the tank of the generator. You can either burn it all by running the generator (slightly tilted) until it runs out of fuel or just pump the gas out (my approach). 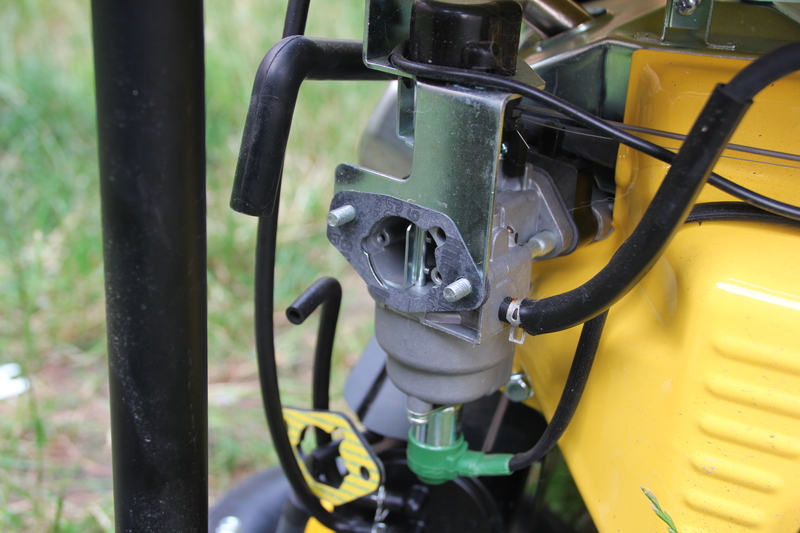 Make sure you also turn the gas line off (so you avoid residual gas to come into the carburetor when running on propane). Then start by taking apart the air filter. There are 6 screws on front (on the sides), 2 close to carburetor and one in the back holding the air filter to the frame. I had some problems with the screw in the back. I had to remove the wheel in order to get access to that screw. Open everything and expose the carburetor. Install the motor snorkel on front of carburetor. 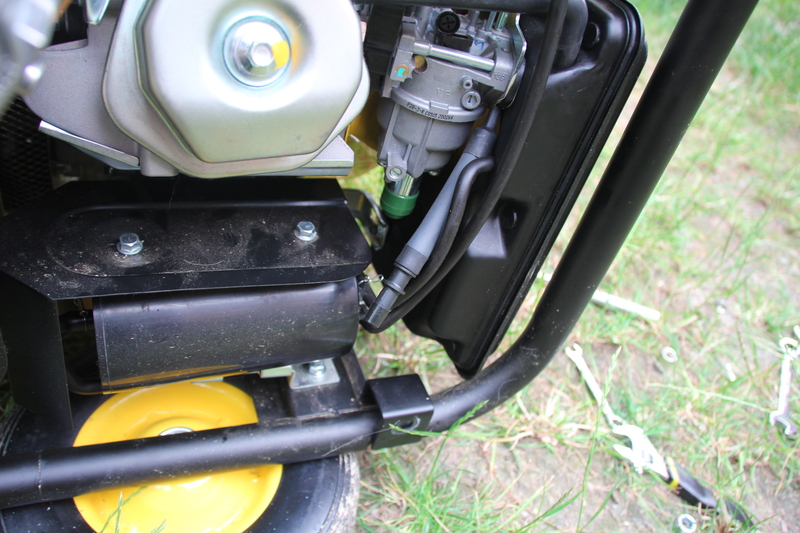 Make sure that the hose gets inside the carburetor while the choke is on run position. They especially give us warning not to install the snorkel if the choke is not open (in run position). After that, install the air filter back, on top of the motor snorkel. I had also some problems installing back the 2 screws next to carburetor (I had to push the cover in order to get it in position). The next step is to install the regulator. You have to drill 2 holes in the carburetor’s frame using a 1/4 drill. Make sure you don’t drill into the gas tank. Especially if you still have gas in the tank, then pay a lot of attention to this step. Gas explosions are not fun, so stay out of trouble (by removing the gas and eventually shielding the tank when drilling). I have shielded my gas tank with a little piece of metal (which I positioned between the frame and the gas tank). Here is the regulator attached to the frame. 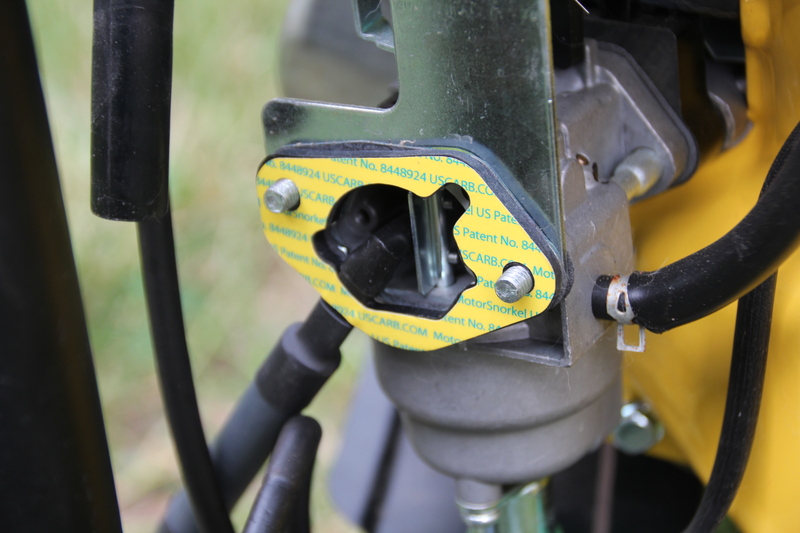 Make sure you tighten up the connections, add sealant on the threads and connect the gas / vapor tube before tightening the regulator. In my case, I had to do some extra steps here (there was no space to rotate the part coming on top of the regulator (fuel outlet)). Finally, connect the propane gas to regulator. The gas tube was only 3/8 size and the regulator inlet was 3/4. Therefore, I had to use 2 step down conversion fittings (3/4 to 1/2 and 1/2 to 3/8). I bought them from Home Depot for aprox $3 each. Before starting, make sure you read the motor snorkel manual. 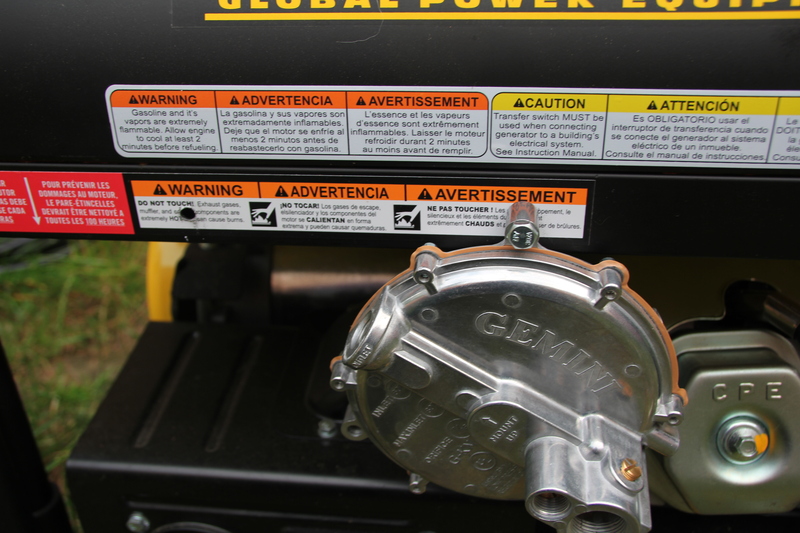 It tells you how much to rotate the part on top of the regulator to allow the proper amount of propane gas in (5-6 rotations for propane gas, probaly 7-8 for natural gas). 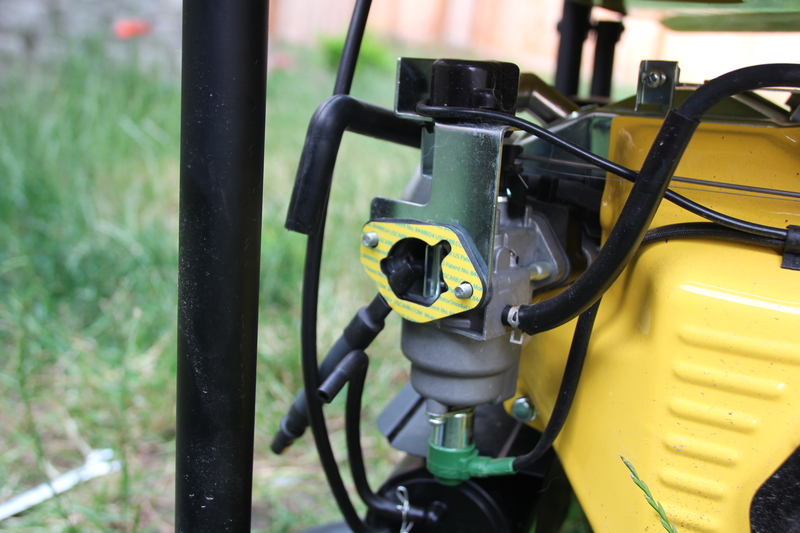 Also, you can allow a bit more propane in, for the initial start and then reduce the in take. Use also a tachometer. I don’t have one, therefore I had to adjust based on the sound of the engine. But I’ll buy a tachometer to make sure I get the proper rpm rate. And that’s pretty much all. I made the mistake of buying the cheaper US carburetion kits and was missing parts, and I had to send one part to the machine shop to complete the install, and the generator still didn’t run at full speed, so I am back on gas till I can build my own kit.